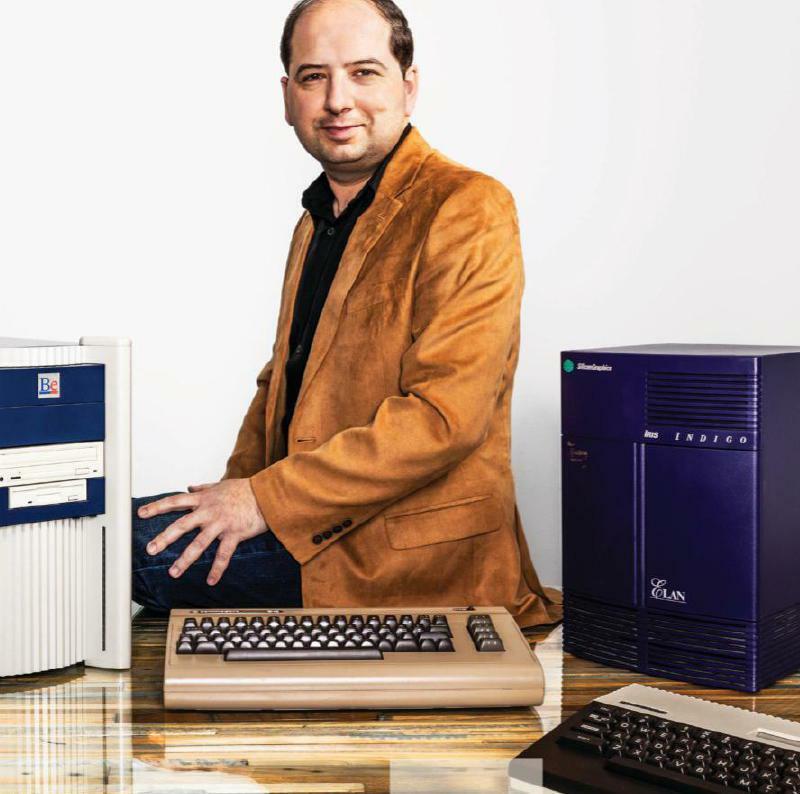 Amir Husain, founder of SparkCognition, with items from his vast collection of vintage computers. Amir Husain’s Austin-based SparkCognition is working on the future of A.I., covering everything from the battlefield to power plants. A boy from Pakistan who fell in love with computers at age 4, Husain is now a founding member of the board of advisers for IBM Watson and a prolific inventor, with 27 U.S. patents awarded and many more pending. I GREW UP IN LAHORE, Pakistan, where my father was a businessman and an investor, and my mother was an educator. When I was 4 years old, I had my first experience with a computer: a Commodore 64.